Can James and Alun overcome the obstacles in their path to love? Heart’s Home by H.B. Pattskyn, available from Dreamspinner Press. Outcast werewolf Alun Blayney is jaded, fearful of what could happen if even one human were to discover monsters are real. Police Constable James Heron is an idealistic young man convinced that love can overcome any differences. When they meet over the body of a woman murdered in the streets of 19th century London, they form an uneasy friendship. As the murder investigation progresses, the attraction between them grows, but before they can see the case or their relationship through, there are obstacles to overcome. A sadistic pack leader is out to get Alun, a daemon has fallen in love with James, and James’s immediate supervisor is determined to pin the recent murders—and last year’s rash of Whitechapel homicides—on Alun. Will Dominic’s attraction to Michael be his downfall or his salvation? 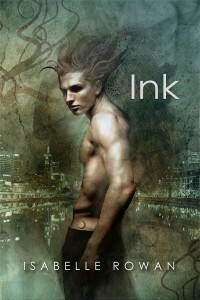 Ink by Isabelle Rowan, available from Dreamspinner Press. Can Keyfer and Radley’s newfound love survive a shipwreck, secrets, and more? 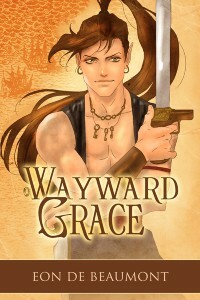 Wayward Grace by Eon de Beaumont, now available from Dreamspinner Press. Just after its crew rescues an Alchemist named Radley Timmons from a ship’s wreckage, the occasionally piratical Wayward Grace is pursued through a magical storm by the Anglican Navy, and the company ends up stranded on an island ringed by impassable mountains with an injured captain. Crewman Keyfer Lockswit considers the diverse crew his family but cannot deny the attraction he has for their newest arrival—an attraction that proves mutual. But Radley has a secret, and the Navy wants it badly. So the crew is split: are they better off where they are or should they invent some way of escape? And if the crew of the Grace does find a way off the island, will Keyfer and Radley’s blossoming love survive? Will Jericho’s love be enough to keep Liam safe from his stepfather? Worth by Adrienne Wilder, available from Dreamspinner Press. Can Tuulois solve the mystery of the murdered children before it costs him his lover’s life? The Thirteenth Pillar by J.L. O’Faolain, available from Dreamspinner Press. Will a new case change Roan’s life forever? 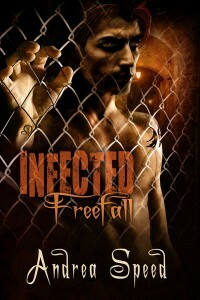 Infected: Freefall by Andrea Speed, available from Dreamspinner Press. Conceived bearing the lion strain of the virus, Roan is the only fully functioning virus child in the country—maybe in the world. But that doesn’t mean he’s okay. He’s still struggling with the death of his husband and the guilt of finding new love; his old enemy, the Church of the Divine Transformation, is becoming increasingly hostile; and he’s taken on a tragic cold case involving a long-missing boy. As Roan fights to control the lion inside him, his world explodes with all kinds of trouble. The leader of the church is ramping up the violence against him, calling Roan out as a traitor to his kind. There’s a loose infected terrorizing the city. And Holden, male prostitute and Roan’s unofficial assistant, brings him a case involving the suspicious death of one of Holden’s clients, which puts Roan far too close to a murderer for his state of mind…. Will Jin and Logan’s bond survive the sepat honor challenge? Honored Vow by Mary Calmes, available from Dreamspinner Press. Will Jesse and Chris beat the odds or will Jesse’s ex drive them apart? 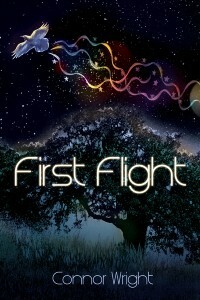 First Flight by Connor Wright, available from Dreamspinner Press. Jesse Swanson’s life is pretty normal: He has a job he doesn’t mind, his parents are pretty decent, and he’s got a boyfriend. So what if he still lives at home? So what if he thinks he argues a little too often with his guy? Can Sei and Gabe survive the fight for Sei’s freedom? 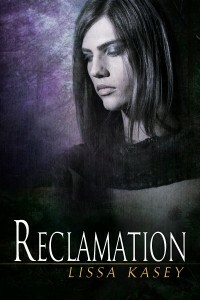 Reclamation by Lissa Kasey, now available from Dreamspinner Press. After killing with magic to save his own life, Seiran Rou is persona non grata with the Dominion, the ruling body of magic. Though he has the support of his vampire lover, Gabe, his half-brother, Jamie, and his friend Kelly, Sei suffers when Dominion supporters continue to harass him. To make matters worse, long-buried memories of his violent past are starting to surface, including e-mails and phone calls from Matthew Pierson, a man who abused him—a man who’s supposed to be dead. With his fears driving a wedge between him and Gabe, Sei tries to get help, only to find himself in a trap. Sei does know Gabe will come for him. What he doesn’t know is how either of them will survive the fight. Will Mike survive the forces hunting him to make it to The Council and the safety of Rick’s love? 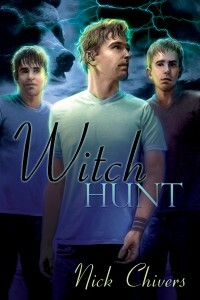 Witch Hunt by Nick Chivers, available from Dreamspinner Press. Mike thought he could escape his past. He renounced his crown as High Mage of The Council, had the Bands of Binding placed on him, and tried to start over as a normal human. It didn’t work. And now a part of that past wants him dead, and Mike is running for his life. With his best friend, Andrew, and Andrew’s soulbound partner along for the ride, Mike can’t help but feel lonely until he meets Rick, an all-around gorgeous man who might just be the wrong guy—again—especially since Mike can’t shake an ex-lover who’s hoping for a second chance. It’s a lot to deal with as demonic forces pursue him from Mongolia to Brazil, but Mike has to make it to the safety of The Council if he doesn’t want to be the prize trophy at the end of this witch hunt.